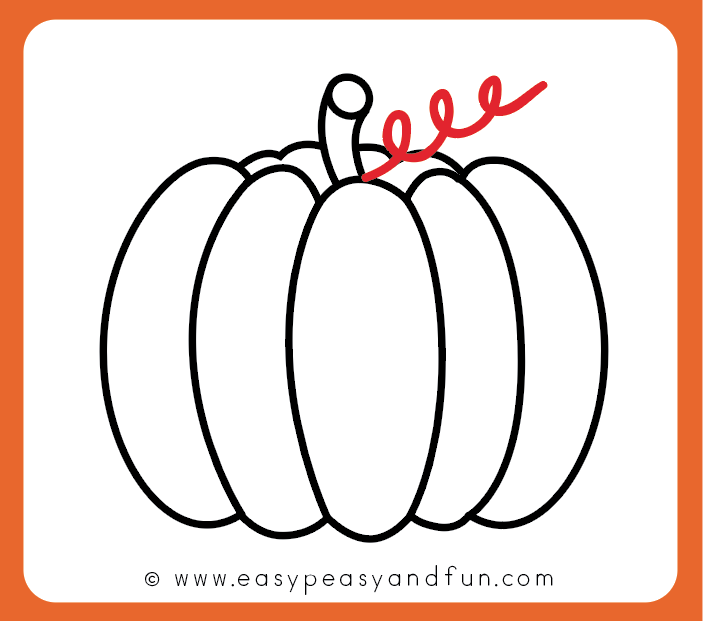 Be it a fall or Halloween drawing lesson, this how to draw a pumpkin step by step drawing tutorial will make the task easy peasy. 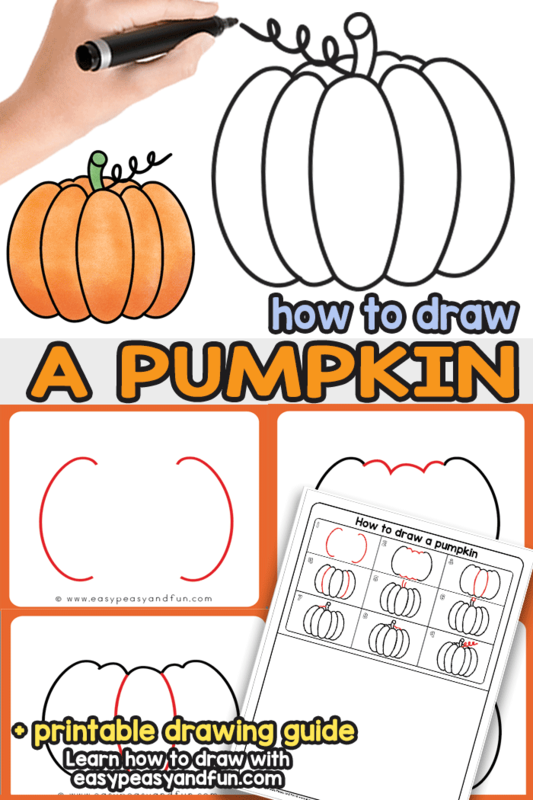 You are just a few simple steps away from learning how to draw an easy, but rather realistic looking pumpkin. 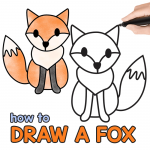 Browse more of our easy how to draw tutorials. 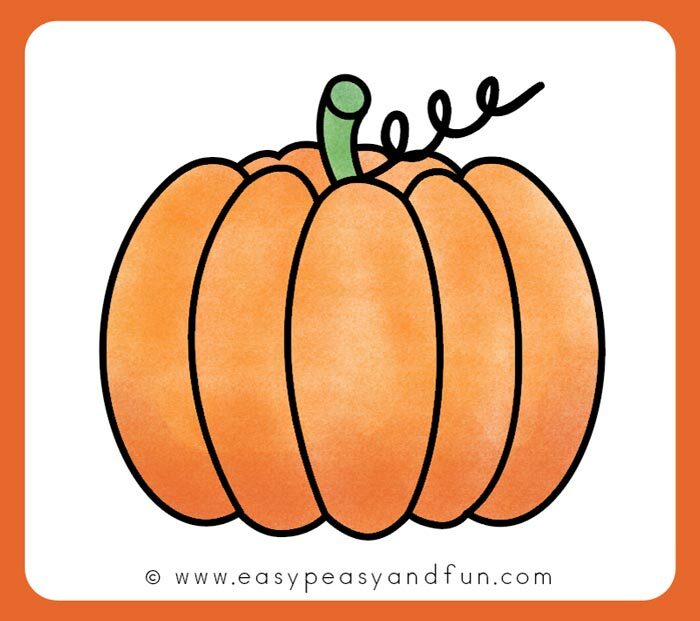 Fall is the time of pumpkins! 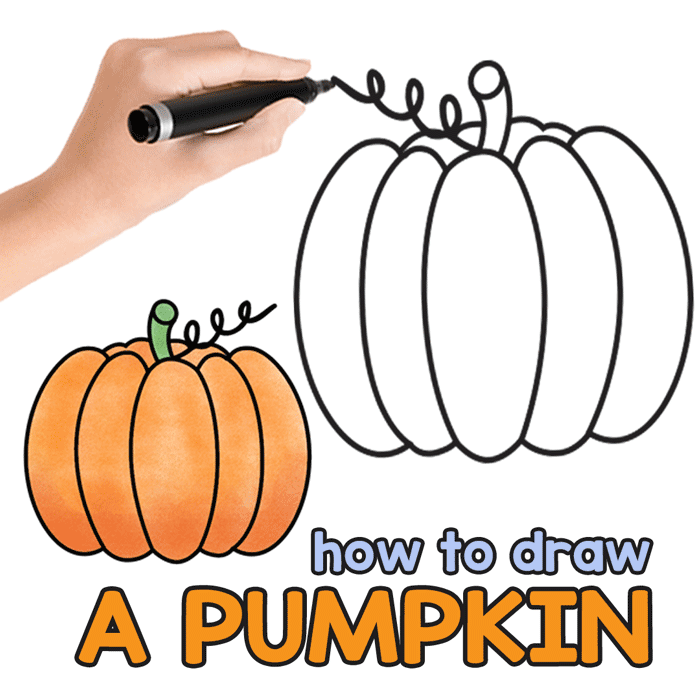 You might thing that they are tricky to draw, especially because of their ribs, but with our tutorial you will be drawing pumpkins in no time. 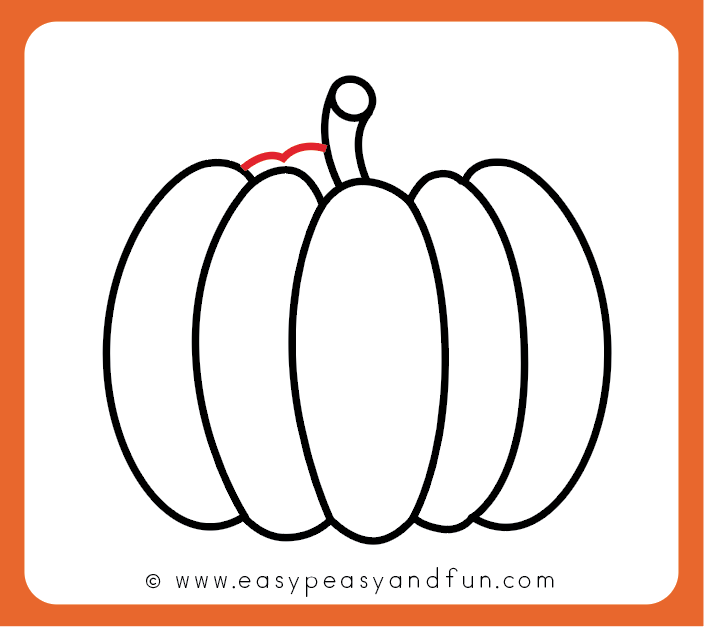 We will be showing you a super easy way to make quite a realistic one, and the steps will build a good foundation for you to draw different shapes of pumpkins – tall, chubby, thin… All kinds really. 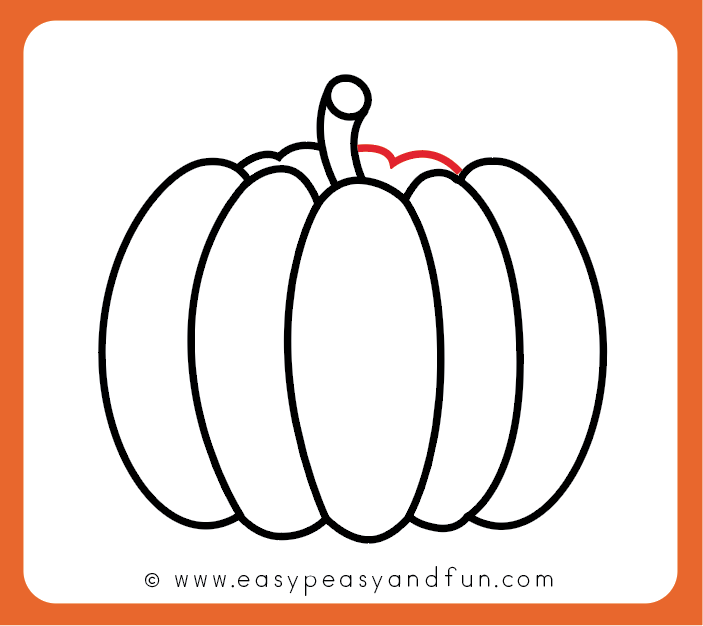 Ready to make your pumpkin drawing? Let’s start! 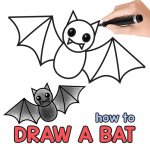 Start by drawing two curved lines – make a letter C on the left and inverted C on the right. 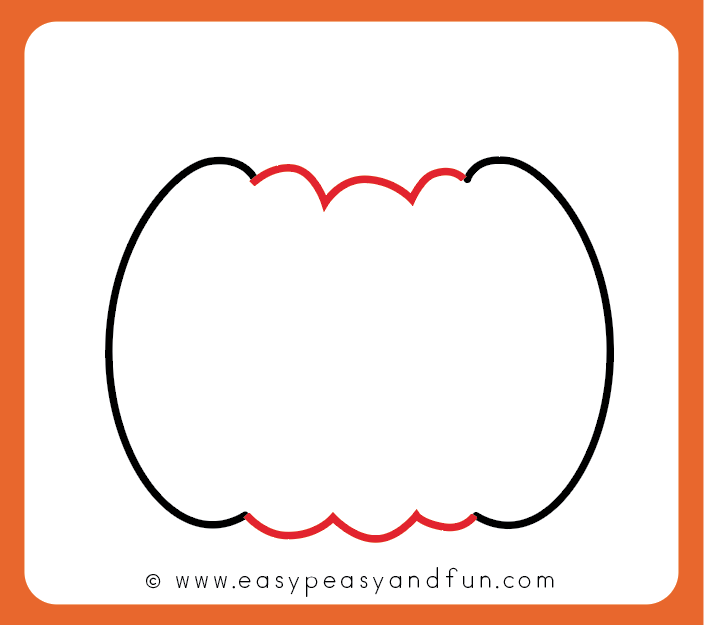 Connect the end points on top and bottom by drawing 3 arches between the end points (3 on top and 3 on the bottom). 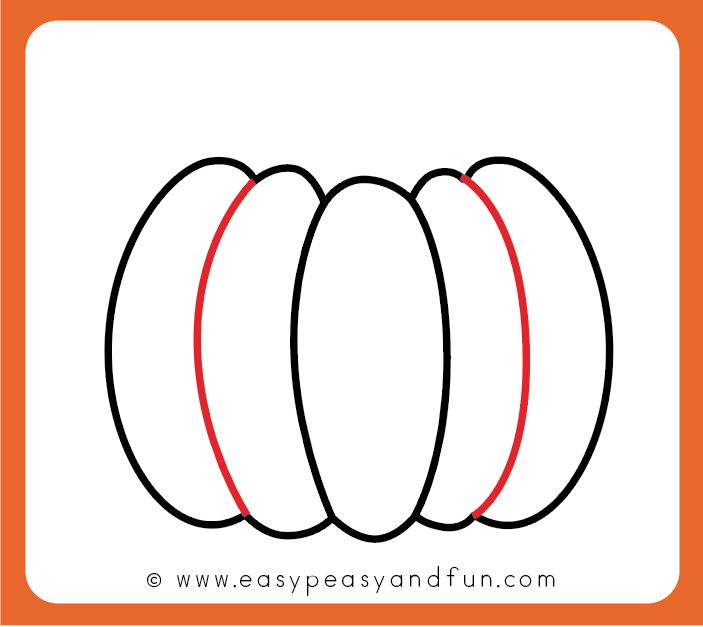 Take a look at the middle arch on top and on the bottom. 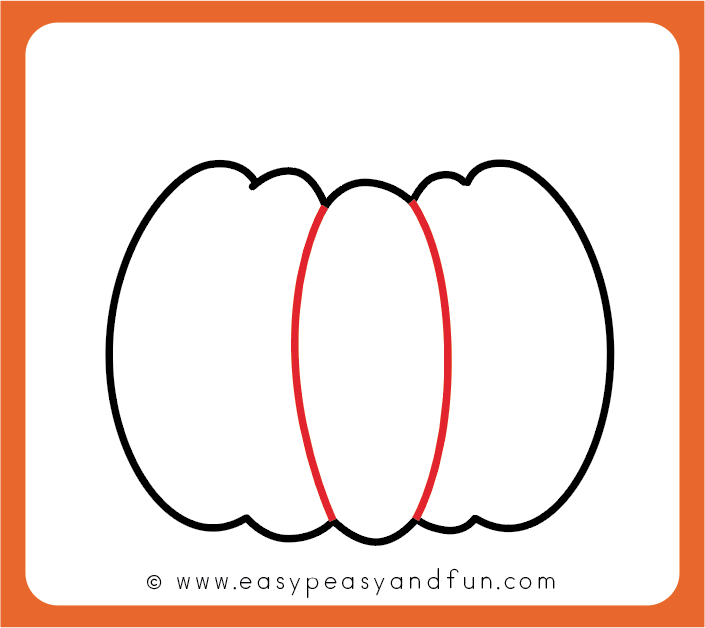 Draw two curved lines to make the firs rib of your pumpkin. 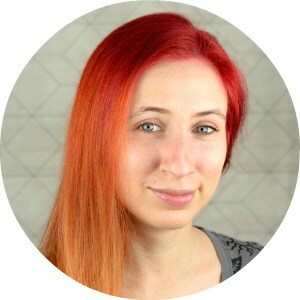 This one can be a bit wider. 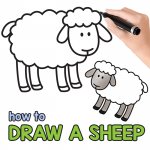 Draw two more curved lines. 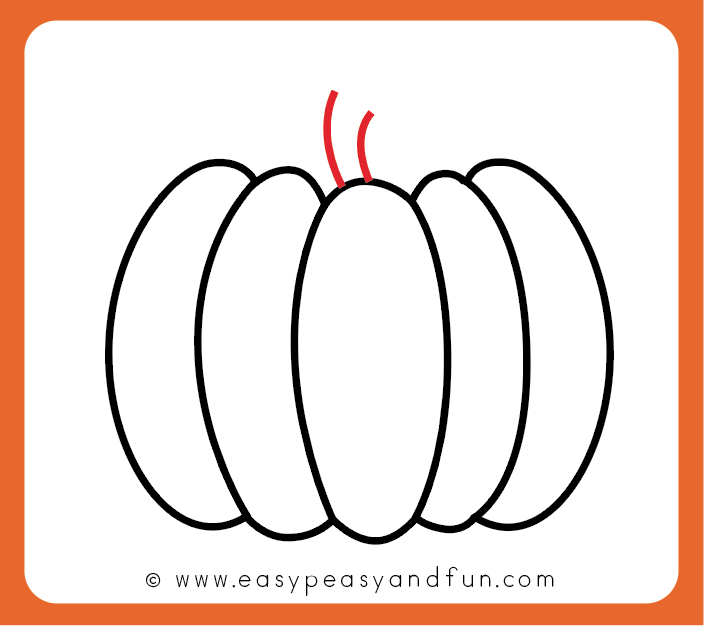 You can already see your pumpkin taking form. 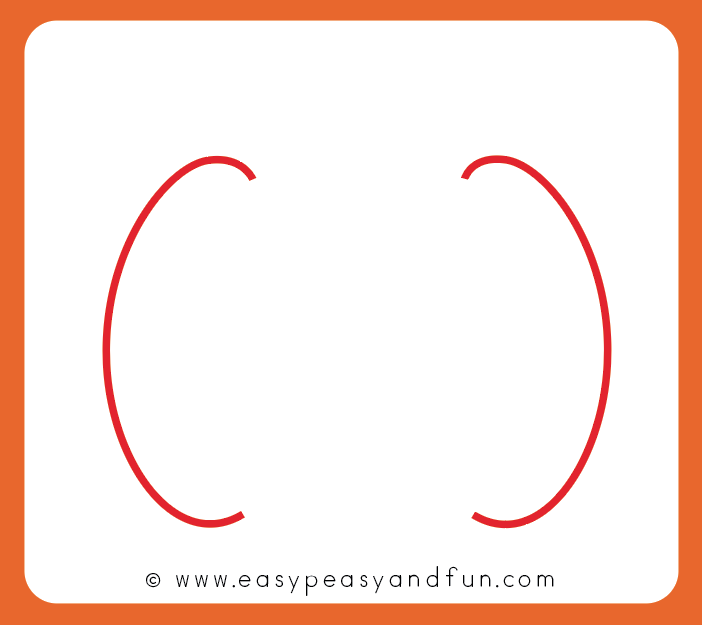 From the middle arch draw two curved lines for the stem. 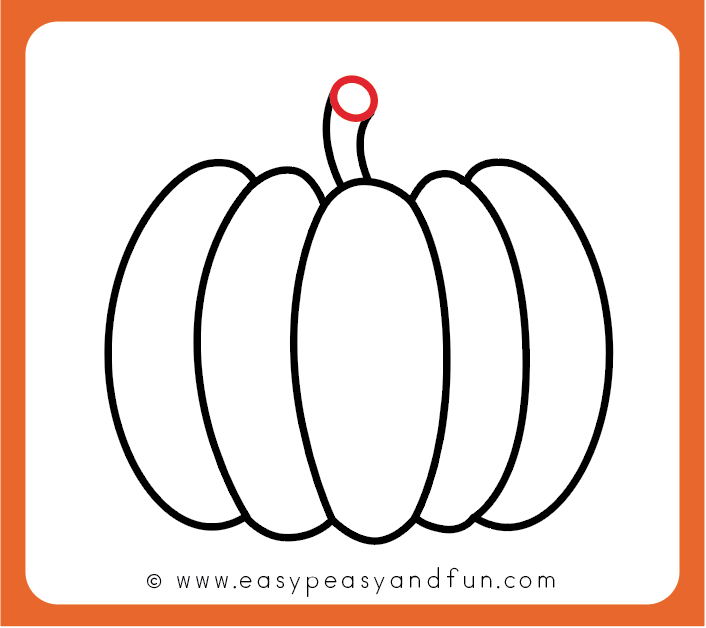 Draw a circle on top of the stem to complete it. 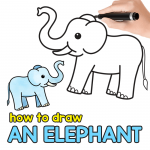 Draw another arched line on the right. 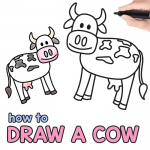 Draw a vine. 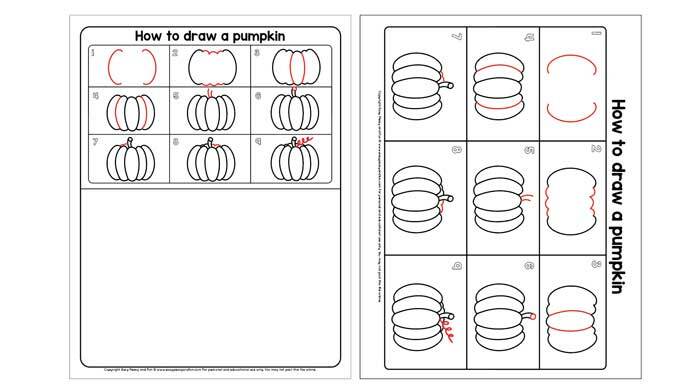 All done, you have learned how to draw a pumpkin.